Spend your advertising money where it matters: locally. Scale your advertising campaigns to local audiences for qualified conversions. Every step a consumer takes on the path to purchase is a chance for your brand to become more relevant, valuable and visible. Use display, search and social advertising to connect with local customers and track your efforts with Brandify. Devise omni-channel campaigns with high relevance. Omni-channel advertising helps brands with or without locations identify, develop and target location-specific consumers using tailored messaging for every location and online channel. 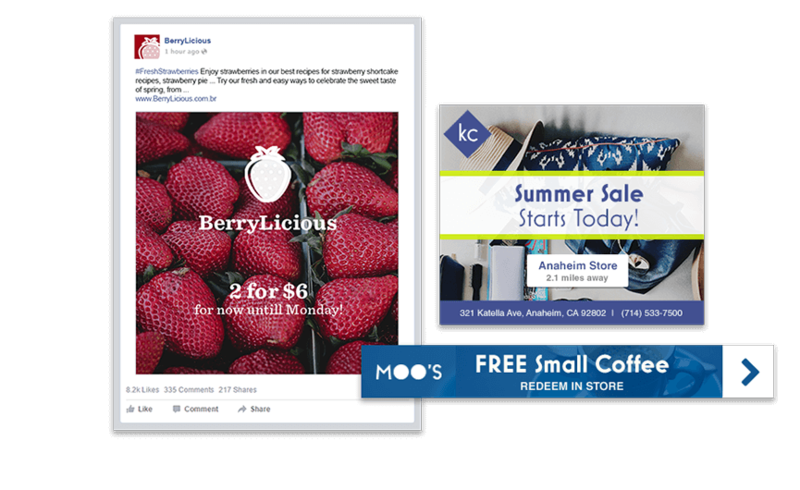 These campaigns are essential when driving relevant prospects to click through to websites, store locators and local pages. Close the ROI gap of National Advertising with Local Advertising. Multi-location brands regularly experience the challenge of wasting advertising spend on national campaigns with little proven ROI. Brandify offers its relationship with key advertising channels to help enterprises generate the visibility and awareness necessary to drive conversions and influence long-term customers. Harness the power of local by building smart lists and leads with owned properties. As the single answer to local, Brandify provides brand marketers that ability to integrate products and leverage user data for remarketing, as an example. Become highlight contextual with rich data from owned properties like your business locator or local pages. Are your ads really performing locally? Display advertising helps boost brand visibility and allows you to reach customers with personalized, location-based content. Our search advertising solution incorporates geo-targeting and advanced technology to make your business stand out on search results. 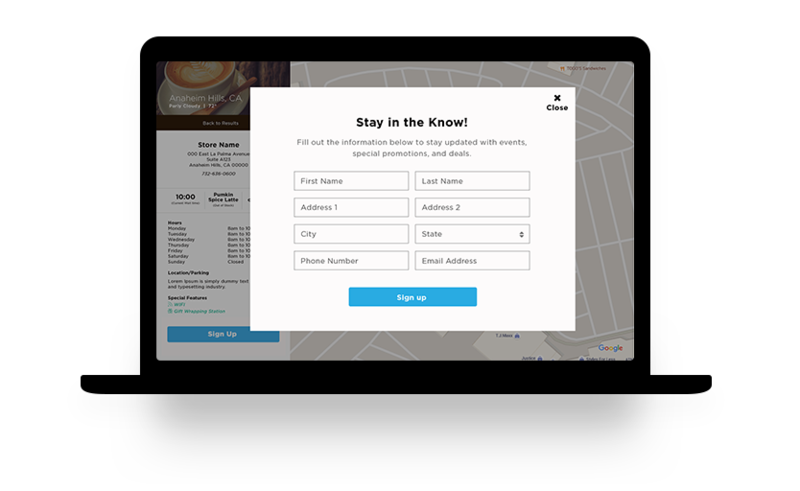 Our local advertising campaigns geofence at the hyperlocal level to drive customers to your locations. Smart fencing eliminates ad waste by 20-30% by leveraging real-time insights to reach users during key "mobile moments" in order to ensure brand visibility and promote store visits. Deliver local search ads to customers who have recently visited your website to send online traffic to your locations. Dynamic mobile ads allow you to target audiences with relevant messaging based on a person’s location. Need creative support? Work with our award-winning team to deliver a campaign that tells the right story. Google, Snapchat, Bing and more feature Brandify as certified Ad partners. How does a local advertising campaign benefit the target audience? What is innovative about a local advertising approach? The innovation of local advertising is in the available variants marketers can leverage and use to be hyperlocal. A powerful exercise that turns generic advertising campaigns into highly impactful, meaningful content. 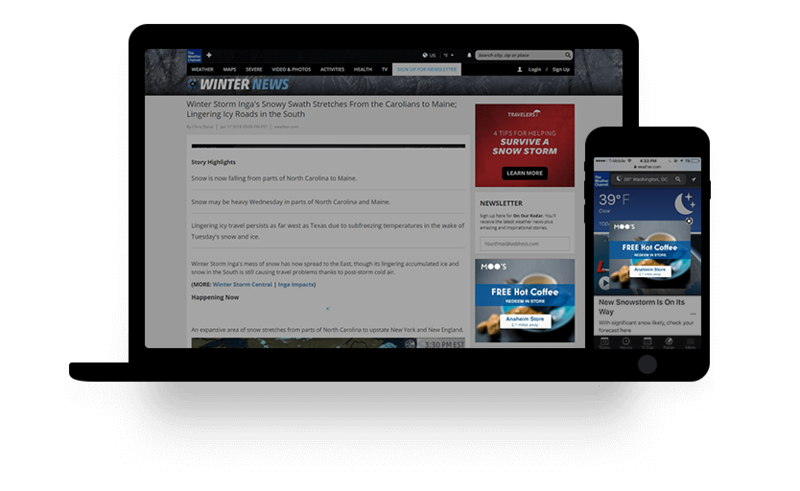 An example of one of our many success stories includes increasing CTR of Ads. The industry standard for click-throughs of .06% was used as a benchmark to measure conversions. Before switching to the Google Display Network, the brand was averaging around .1%. After switching and tailoring messaging for location-specific ad campaigns, CTR jumped 613% and increased website page views from 300,000 monthly to 2 million. 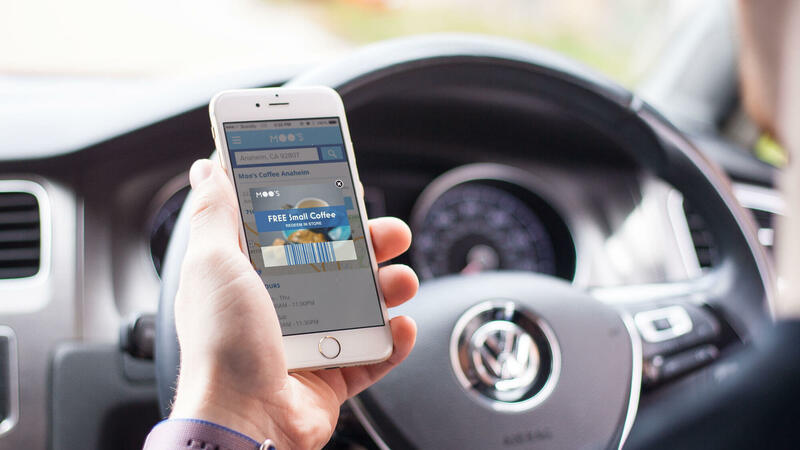 On a monthly basis, CTR had been regularly jumping 25%, demonstrating the power of location-specific content in driving awareness across devices. Do national brands benefit from localized Ad campaigns? Brandify serves as a strategic partner to help national brands drive visibility of nearby locations to users across devices. Brands that benefit from Brandify’s omnichannel approach to local advertising are enterprises with hundreds or thousands of locations with near-term top-of-funnel objectives like driving awareness for nearby locations or foot traffic. Does local advertising make sense for manufacturing companies?